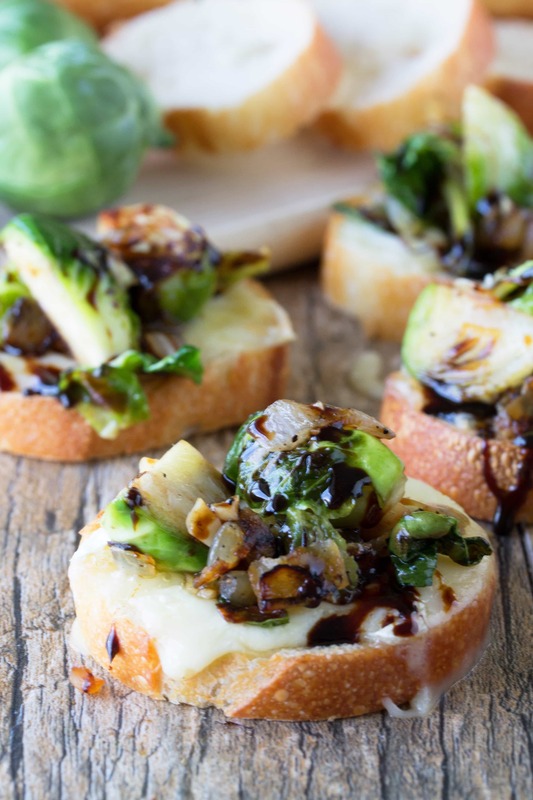 Brussel Sprout and Brie Bruschetta is a trendy appetizer that is both beautiful and tasty. Drizzle it in some fine balsamic vinegar and you have a total winner! Brussel sprouts have had a bad rap for as long as I can remember, but they are making a comeback. They are quite fashionable in the food world. If you have fallen under the evil spell of hating brussel sprouts I urge you to reconsider. 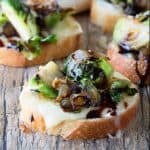 This recipe for brussel sprout and brie bruschetta is divine. It may be more of an appetizer, but we have totally had it for dinner…more than once. They are a tasty little bite with sweet, salty, bitter, acid, basically giving you a party in your mouth. You’ll want to be sure to serve this with a quality balsamic vinegar. Another great way to serve it is with a balsamic vinegar that has been reduced to thicken it up. Simply put balsamic vinegar into a small saucepan and bring it to a boil. It will quickly reduce and thicken up. Just be careful not to reduce it too much or it will just be a sticky mess! Watch the video for more great tips on how to make this recipe stunning. You can also check out the rest of my YouTube Channel where I’ve got tons of great cooking videos. It’ll make you hungry! Heat olive oil in a heavy skillet. Add in brussel sprouts and saute for about 5 minutes, stirring occasionally. Season with salt and pepper. Add in the onions and continue to saute the brussel sprouts and onion for about another 7 minutes until onions are translucent and brussel sprouts are tender crisp. Add in minced garlic and saute for 1 minute more. Taste and add more salt and pepper if desired. Spread a little brie over each slice of the baguette. Place slices on a baking sheet and put in the oven under your broiler until it starts to melt. Top each slice with the brussel sprout mixture. Drizzle balsamic over the top. Serve. Balsamic Vinegar, the real kind, is made from crushed grapes of a specific variety that is boiled down, then aged to delicious perfection. Have you ever wondered why some balsamics cost so much more than others? It is because there really is a difference. While vacationing in Jackson Hole, WY my husband and I came across a quaint little oil and vinegar shop. They had a whole wall of vinegars, specifically they had a whole line of varying ages of balsamic vinegar. We were able to taste each balsamic in order of age from youngest to oldest. Wow! Each age tasted so incredibly different. It got thicker as it got older. It also got sweeter. The 25 year balsamic was so thick it was much more like syrup, and it was sweet enough that you could serve it on ice cream. If you are a regular person and you don’t want to invest in a balsamic, then shop around. Buy a small bottle, but don’t necessarily go for the cheapest. Honestly, I’ve got a huge bottle from Costco that is sufficient for every day uses. I also have a nice bottle of 15 year Aceto Balsamico di Modena that I use when I want something extra delicious. These were amazing!! Used a balsamic reduction instead . They were gone in minutes. 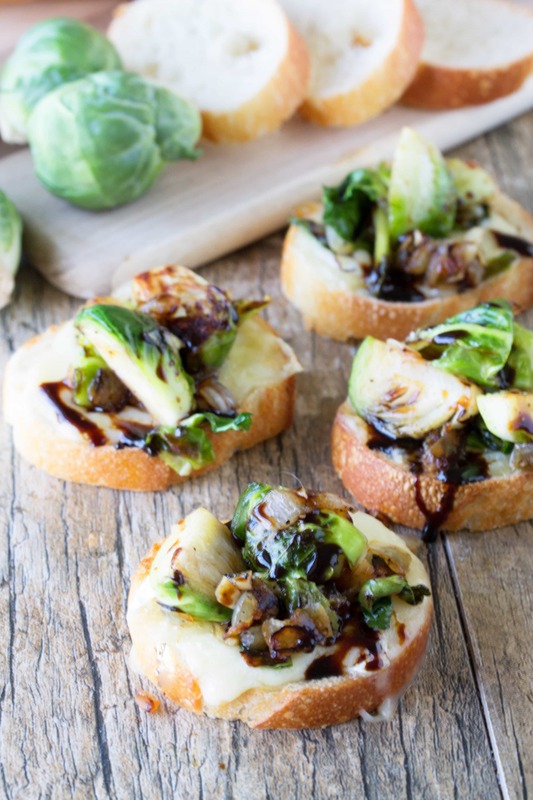 This is perfect for a holiday appetizer! i am Pinning for later-thank you!